Boat repossessions are reported to be on the rise nationwide. Boat repossessions come both from private owners who have defaulted on loans, and from dealers that have gone out of business. Repossessions from private owners follow the same course as any other repossession, with a buyer who becomes unable to continue making loan payments and defaults on a loan. After default and a cure option, giving the owner the opportunity to redeem the note by paying the full balance, or possibly simply to reinstate the note by paying the shortfall plus costs, the finance company will resort to repossession, reclaiming the boat for later sale. 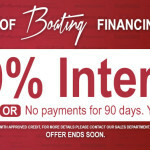 With a dealer that has gone out of business, there could be a number of boats in the dealer’s inventory, all securing dealer financing for the inventory from a bank or some other lender. When the dealer goes out of business, the dealer will also stop making note payments and the finance company will quickly step in to seize possession of inventory. Sad though it is for someone to lose their boat to repossession, bank repossessions of boats create opportunities for new buyers. 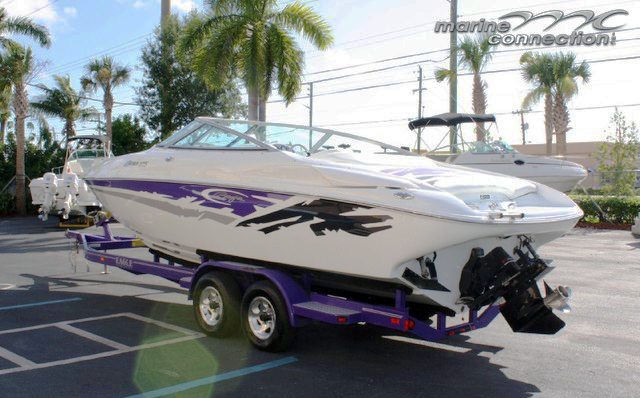 After a boat is repossessed, the lender will sell the boat by some means to recoup a part of its investment in the boat. These sales amount to liquidations, in which a lender is forced to take just a fraction of its investment in a boat in order to recover any amount. A buyer can buy a boat at this liquidation price, and likely save thousands. This takes place countless times per month all across the United States. Boat repossessions are on the rise nationwide, and more and more buyers are taking advantage of the opportunities created. Repossessed boats range in size from tiny fishing boats all the way up to yachts. At the same time, the condition of these boats varies widely. In some cases, a repossessed boat will be recovered in excellent condition so that it is usable with no repairs or modifications. In other cases, boats are neglected before repossession, where owners stop maintaining and servicing boats after they stop paying for them. 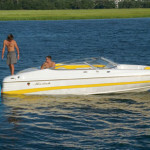 A buyer of a repossessed boat must exercise special caution in examining the boat before buying. A boat in non-working condition or in need of extensive repairs will probably not be worth investing in. Of course, boats repossessed from dealers generally do not present these problems. In many cases, these boats are new, even if sold at liquidation prices after repossession. Repossessed boats are generally sold at auction. Auctions are operated by private auction dealers, who operate under contract with banks and lenders to conduct auctions of repossessed goods. An auction, of course, is a selling procedure under which goods are offered for sale by auction dealers in a competitive bidding procedure. Would-be buyers place bids or offers on goods, with multiple bidders participating, and the goods are sold to the highest bidder. Auctions for repossessed boats are now widespread. The first hurdle to buying a boat at auction is to find an auction house to buy from. That is not quite as simple as it might seem. In fact, there are many auction houses in business that sell repossessed boats, but they vary in the size and quality of their offerings and in the accessibility of inventory. Access to inventory is important, because some boats at auction will be in need of extensive repairs and upgrades. 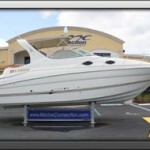 A great alternative to a boat auction is to purchase your boat at Marine Connection! 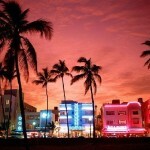 This is South Florida’s largest volume for super store for new, pre-owned and repossessed boats. 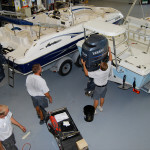 Contact Marine Connection at www.marineconnection.com to find what you are looking for today!